Whether you are seeking a new career in business or are simply eager to climb the ladder in an already established career, earning an MBA may make good career and financial sense. According to a 2013 research survey by The Graduate Management Admission Council, the median base starting salary for an MBA graduate is $95,000. Nearly 9 in 10 (88%) of 2016 MBA graduates had jobs immediately upon graduation, with hiring prospects expected to improve even more in coming years. This is good news for those starting their online MBA programs in 2019. What Are The Best Online MBA Programs? At Capella University, students can take part in a number of MBA online programs that are specifically suited to professionals. Students may choose between pursuing a degree in any of 13 emphases in the traditional program, or enrolling in the FlexPath program, which is available with the following concentrations: accounting, business intelligence, general business administration, entrepreneurship, global operations and supply chain management, human resource management, project management, or healthcare management. The FlexPath program allows students to work at their own pace, and they can complete their MBAs in as little as 18 months. The Flexpath option requires students to complete specific assignments by the end of the academic quarter, while the traditional program requires submission of work on a weekly basis. Both MBA programs require the completion of 39 credit hours, including 12 credit hours in one of the specific concentrations described above. Xavier is committed to offering its award-winning educational offerings online with the same academic rigor, Jesuit values, and personal attention found on Xavier’s campus. These same characteristics that led U.S. News & World Report to name Xavier the #4 college for veterans, #17 for Graduate Entrepreneurship, #24 for Graduate Accounting, and #109 for Part-Time MBAs. Xavier’s online MBA program can be completed entirely online in the comfort and convenience of your home, and with six start dates each year, you can get started right away. So get started, get caught up, or get ahead. Your degree is just a click away. Liberty offers a well-rounded, significantly more affordable online MBA program, which emphasizes ethical business practices and group work. Completing an online MBA program at Liberty typically takes 24 months, and the school offers two options: a general MBA program requiring 36 credit hours or a specialized program requiring 45 credit hours. Students can transfer in up to 18 credit hours in either the general MBA or the specialized programs. Specialization areas include, but are not limited to: accounting, criminal justice and healthcare management. The tuition for the general online MBA is around $20,340, while tuition for specialized programs is around $27,225. Walden University offers an online MBA program with 11 choices of specializations, as well as an option for creating a self-designed program. These concentrations include accounting, international business, and project management. Online students complete 36 semester credits to graduate, with 24 in the foundation and core courses, 9 in specialization courses, and 3 from capstone courses. These courses are delivered in a sequence set by Walden so that everything learned can be built upon with each subsequent course, beginning with instruction in dynamic leadership and ending with a capstone in sustainable business practices and strategies. Each course is eight weeks long, making the program about two to three years long, though an accelerated option is also available. Online students can take advantage of Walden’s CareerBoost to interact with the school’s career management office more closely, and take advantage of exclusive video guest lectures from professionals such as Zappos CEO Tony Hsieh and Xerox Corporation CEO Ursula Burns. In today’s increasingly challenging business environment, organizations are constantly searching for well-educated individuals to fill critical roles. Whether you’re ready for an MBA with a concentration in accounting, a bachelor’s in business management or an associate’s degree; Herzing University offers a variety of nine degree programs in leading business areas to give you the management skills, practical knowledge, and organizational competencies necessary to succeed in today’s competitive marketplace. If you choose to attend a traditional, full-time MBA program, remember that the costs are greater than the sticker price of tuition. While you are working toward your degree, you lose at least two years of income, experience, visibility, and possible promotions in your industry ― not to mention the obvious compromises you might make in your personal and family life. Since it is such a costly commitment, more people are choosing to complete their MBAs online, and a number of accredited online MBA programs are now meeting a more diverse set of student needs. The quality, status, and popularity of online MBAs continues to rise, with more highly ranked business schools offering online degrees every year. However, not all online business degrees are the same. Not only do online MBAs come in a variety of formats, but their quality and prestige vary widely as well. That is why it is important to make a thorough investigation of the different online MBA programs available before choosing one. 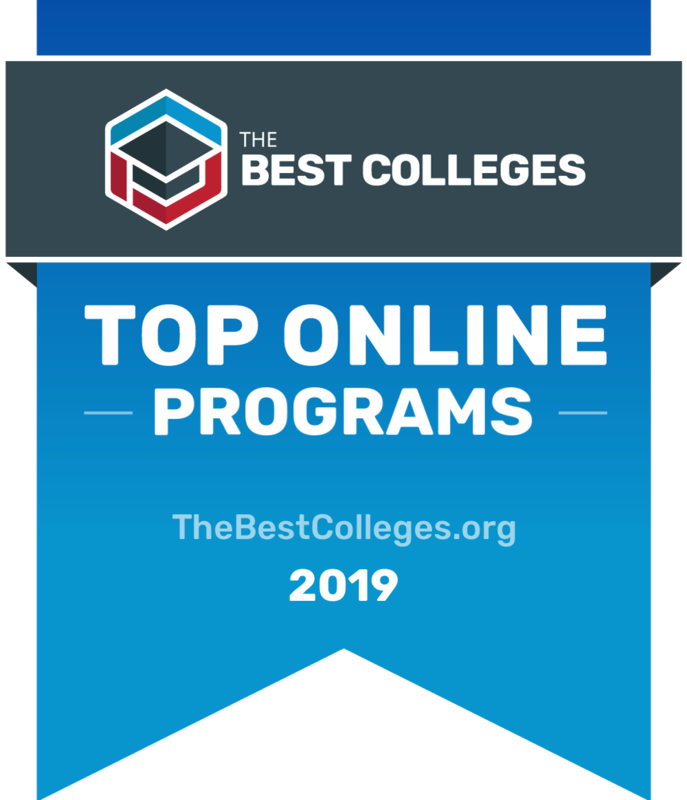 Our list of the top online MBA programs for 2019 is the place to begin your investigation. While no ranking is able to substitute for personal judgment about what is best for an individual student, we offer a well-researched and up-to-date listing of the best online MBA offerings. We’ve analyzed and ranked programs according to their perceived prestige (awards, online MBA rankings, reputation), academic quality, and affordability. You can find out more about each program’s costs and specialized offerings by filling out the contact forms in the links below. Generally speaking, graduate degrees increase your earning and job prospects. Earning your MBA online should open many opportunities to you. After you earn your MBA, there are further opportunities to specialize within your field of study. Certifications offer a declaration of dedication to your specialty as well as an opportunity to boost your qualifications. Of the available certifications for MBAs, 6-Sigma and SAP modules are probably the most well known for general business management. If you are interested in a job in finance, depending on what country you plan to work in, there are a number of required certifications specifically for securities. As with any certification, post-graduate certifications generally have a positive impact on your job outlook and earnings potential; however, how much of an impact they make greatly varies from company to company and from specialization to specialization. To determine our best online MBA programs ranking, we looked at the most important factors to prospective students, mainly common predictors of future success and a school's commitment to online programs. This boils down to admissions rate, student loan default rate, retention rate, graduation rate, and the percent of students enrolled in online classes. All data points are taken from information provided by colleges and universities to the National Center for Education Statistics. Keep in mind, this is ranking is based on our proprietary methodology, and should not be your only factor in considering the best online MBA program for you. Each factor is weighted evenly in order to give an objective view and determine our best online MBA programs. To calculate our rankings, we looked at a school's ranking when organized by a single factor, and then averaged each category's ranking to find an overall score: Admissions Rate (20%) + Default Rate (20%) + Retention Rate (20%) + Graduation Rate (20%) + Percent of Students Enrolled in Online Classes (20%) = Final score.